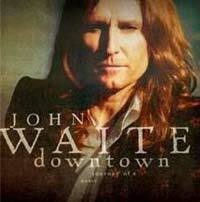 Frontiers Records are pleased to announce the European release of JOHN WAITE’s new studio album “DOWNTOWN Journey of a Heart” on July 7th 2006. The new record is a selection of classic songs from Waite’s repertoire which have been completely re-arranged and re-recorded from scratch. “It’s a sort of a greatest hits retrospective release that also looks ahead, a way to express musically the different phases on my career”, explains the Lancaster-born singer. John Waite has had several songs — including "Missing You", the BABYS "Isn't It Time" and BAD ENGLISH's "When I See You Smile" — becoming radio staples worldwide. Even if best known for his ballads, John is truly a rocker in his heart. “This new record is a way to connect together the three different parts of my career, with Babys, Bad English and as a solo artist”, says Waite, adding “The approach to the new recording of the old classics was very simple and basic, based on the way I play the songs live. Direct and rock… just guitars, Hammond, piano… no synth”. In addition to a careful selection of his classics, Waite recorded two new songs. “Highway 61”, an infectious Bob Dylan cover which is straight ahead blues rock and “St. Patrick's Day”, a cinematic lullaby about two people meeting in New York and falling in love. Both represent the direction I am about to take next for the prosecution of my solo career”. The final tracklisting of “DOWNTOWN Journey of a Heart” includes the following songs: The Hard Way; In Dreams; Blue Venus; Missing You; Keys To Your Heart; Highway 61; Isn’t It Time; St. Patrick’s Day; New York City Girl; Headfirst; Downtown; When I See You Smile. Don’t miss John Waite live at the upcoming ARROW ROCK Festival in Lichtenvoorde, Holland on June 9th2006, while further live dates are being scheduled for the fall. High & Mighty, the highly anticipated follow up to 2004's Deja Voodoo, is quite simply the best record that Gov't Mule has ever made. It was recorded in Austin at Willie Nelson's Pedernales Studios in early 2006, with additional recording at Hoboken's Water Music. 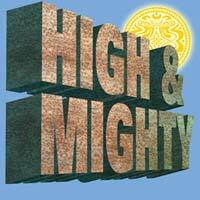 High & Mighty contains 11 new & original Warren Haynes songs and will be released on ATO Records on August 22nd, 2006. "Two of us", the new Joseph Williams album! "Beautiful Music", the long awaited piano/ballads album from third Toto vocalist Joseph Williams announced last year was finally cancelled. Great news, it comes back under the title "Two of us". 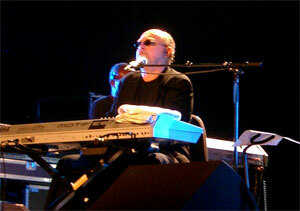 It features a contemporary sound with plenty of piano and vocals. Includes a cover of the Rightous Brothers' "Unchained Melody," Richard Marx's "Now and Forever," Elton John's "Your Song," Rod Stewart's "Have I Told You Lately," "and Elvis Presley's "Can't Help Falling In Love." The album will be released on 24th of may and can be pre-ordered at CdJapan. 2 great records finally reissued! 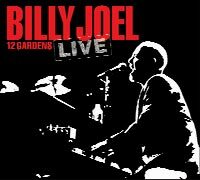 Billy Joel's "12 Gardens Live"! With 12 record-breaking sold-out performances, Billy Joel now has the longest most successful run of a single artist at MSG. For all those who were there to witness this great moment in music history or for those who want to experience the magic of Billy Joel's captivating MGS performances for the first time, comes the new record 12 Gardens Live. This extraordinary double-CD release from Billy Joel was recorded live at Madison Square Garden during his recent record-breaking TWELVE sold-out shows in New York City and features amazing live versions of greatest hits and fan favorites including "New York State Of Mind," "Piano Man," "We Didn't Start The Fire," and many more! Bill Cantos returns with a brand new album "Love wins: new standards for the new millennium"! The new album from Bill Cantos is titled "LOVE WINS: new standards for the new millennium"
It features thirteen originals in the style of classic standards, written and performed by Bill. Passionate vocals, smooth piano, and a world-class band. New songs that feel like you've loved them forever. More info and a brand new website forthcoming!! Stay tuned! 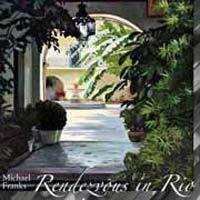 Michael Franks's New Studio Recording, "Rendezvous in Rio"
Michael Franks, a mainstay in the contemporary jazz scene since the '70s, is back with "Rendezvous in Rio, " his new album featuring 10 new original songs with distinctive arrangements from long-time collaborators Jeff Lorber, Jimmy Haslip, Russell Ferrante, Chuck Loeb and others. "Rendezvous in Rio" will be released on June 27th, 2006. The music of renowned Brazilian composer Antonio Carlos Jobim has been a great influence to Franks' previous music, and it can be seen in this album as well. "Rendezvous in Rio" includes an 'unrequited love' song "The Question is Why, " "The Critics Are Never Kind" from his musical "Noa Noa, " which portrays a musical conversation between artists Gauguin, Van Gogh, and Degas, the bittersweet "Songbirds, " and two jazzy numbers: "The Cool School" and "Hearing 'Take Five.'" TRW, the new surprise of 2006! John Robinson says: TRW or Michael Thompson, John Robinson and Mark Williamson have finished their first CD which will be titled "Rattle My Chain". So far it's the best rock band I have ever been in and this CD will take the world by fire. Kenny Pore Sessions include such luminaries as Pat Coil, Robben Ford, John Patitucci, Vinnie Colaiuta, Hadley Hockensmith,Brandon Fields, Harvey Mason, Paul Jackson, Jr., Leon Gaer, Tommy Emmanuel, Michael Landau, Russell Ferrante, Jimmy Haslip, William Kennedy and vocalist Rick Riso. out a fellow musician in trouble."